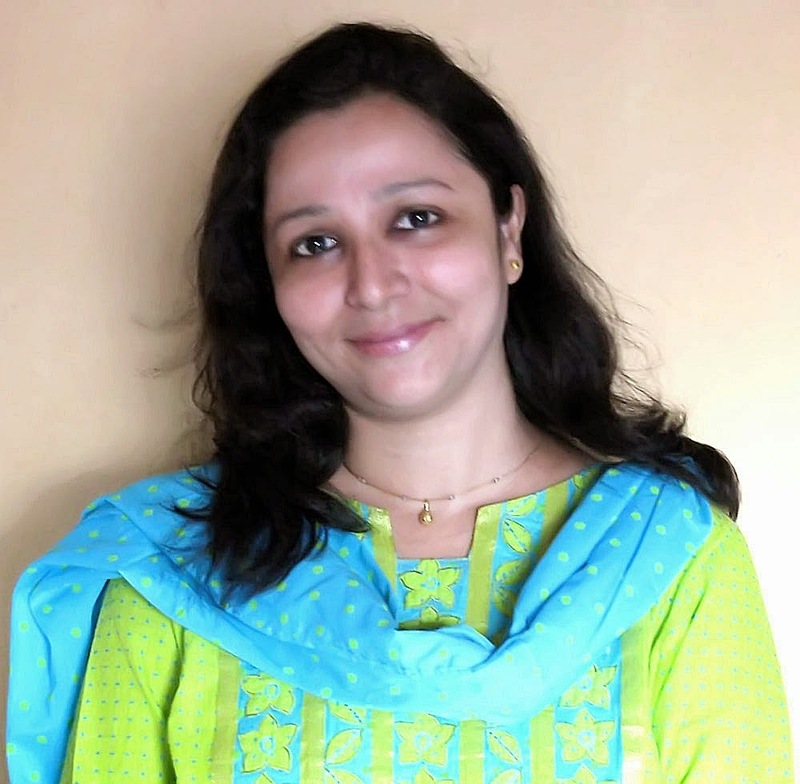 Neha Here, Hope you enjoyed inspiration posts by DTs and all the games that we had planned for you. Today is the last day for submitting your project for the current challenge, so just go to the below link and add them! Today I am sharing with you a baby girl mini album. I just love the way it came out finally. Here I have used the Baby Girl Me & My Big Ideas Kit. 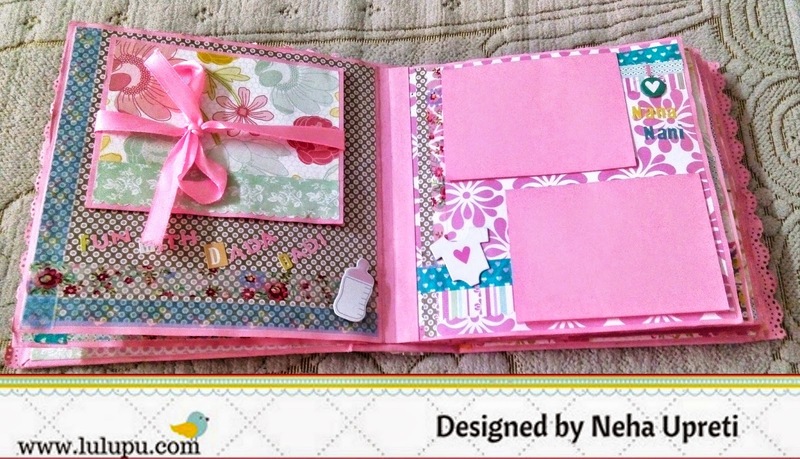 It comes in a 12*12" size and is perfect for making a baby girl scrapbook album. 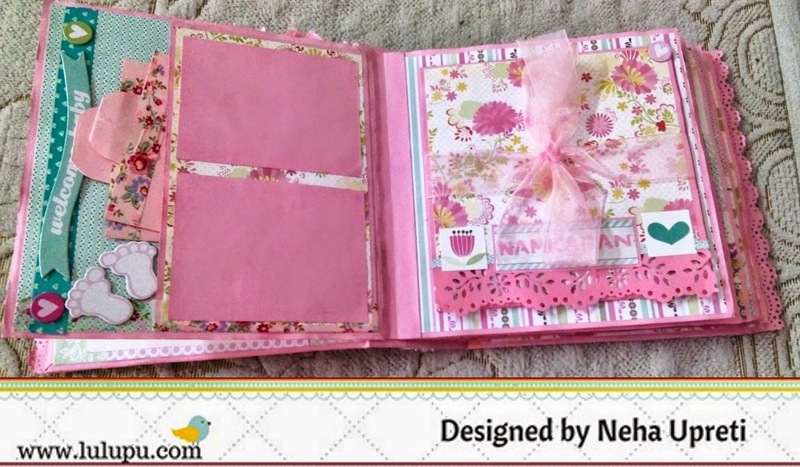 It has coordinated contents which make the work very easy and in very less time one can decorate their album beautifully. Kit includes lovely PPs in shades of pink, mint, aqua, chocolate and white along with stickers, dimensional stickers, chipboard pieces and rhinestones. Everything you need is there. These kits are available on lulupu in different other themes as well. Also, I have used different washi tapes in decorating the mini album. Washi tapes come in so handy when u need to fill a blank looking boring space. Lulupu has a wide variety of washi tapes and that too in best price. I have used them in almost all of the pages, tags and even cover page! Now a days i just can't do without them. Need to buy some more! So, that's all for now! Hope are you enjoying the all the month long fun at the Lulupu 3rd Birthday Bash! You still have 48h to share your creations across three categories. For details visit the challenge post here. Today lets have some fun with gelatos. 1.Prepare the paper by applying a layer of gesso (acts as a primer & makes blending so much easier), let dry. 2. Select gelatos of your choice & scribble on the paper. 3.Spritz water & blend the colors with a brush or get messy, use fingers for best results! 4.Or let the excess water run down by holding the paper upright to get a dripping look. 5.Once dry place a stencil over the CS & use a baby wipe to remove some color. 6.Gently roll a tissue paper roll over the stencil to remove excess moisture. 7.And here is the result of this simple technique! 7. I added some more color through the stencil, spritz with water & once again blend the colors with your fingers............with the stencil still in place. This will give a lovely texture. Apply a layer of mod podge/gel medium to fix the color. I made some bookmarks from the CS I used in these techniques. Hope you too have fun with your gelatos & thank you for joining me today! A warm hello to all of our craft friends! How are you all doing? Have you been linking your creations for the Lulupu Birthday Month Challenge! If not yet, then hurry up, we have still few days left! Today, we have a well known craft personality to share a lovely inspiration with you all. None other than 'Hussena'. Yay! So over to Hussena now! Hello everyone, This is Hussena here and I am so very glad to be a part of Lulupu’s Third Birthday Celebrations. I hope you have been enjoying all the beautiful inspiration that has been put up by the various designers and guest designers. We have a wonderful Moodboard for inspiration this time and the theme is ofcourse, birthday so I decided to create some birthday party favour bags for this occasion. So, let us just get on with it, because this is going to be a long post because I’m sharing two cute bags with tutorials. My first bag is quite big and can hold quite an amount of chocolates, small gifts like jewellery pieces, small notebooks, stationery sets, etc. Distress inks/ any other inks of your choice. Stamp set of your choice- I’ve used Lawn Fawn Year Three set. Inka Gold to add some sparkle to my balloons as well as Inkessentials Glossy Accents. 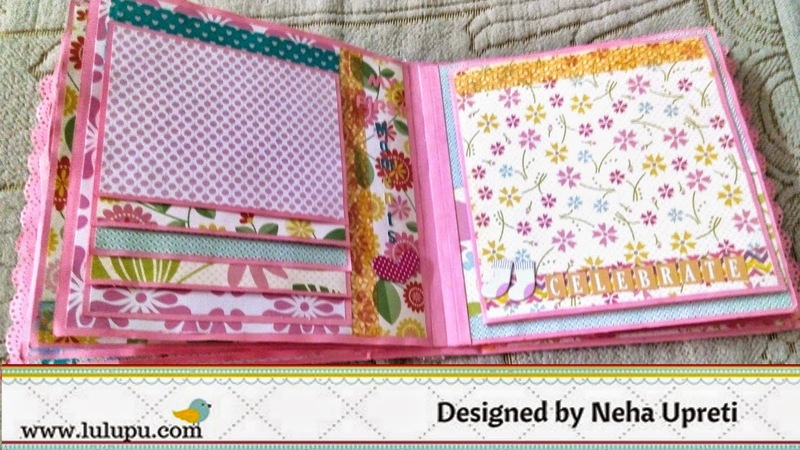 Dies used here are- Impression Obsession Grass border die and Cheery Lynn Baby’s Breath die, Spellbinders Fluer De Lis Square dies. Here’s how it looks after gluing and folding the scored lines. 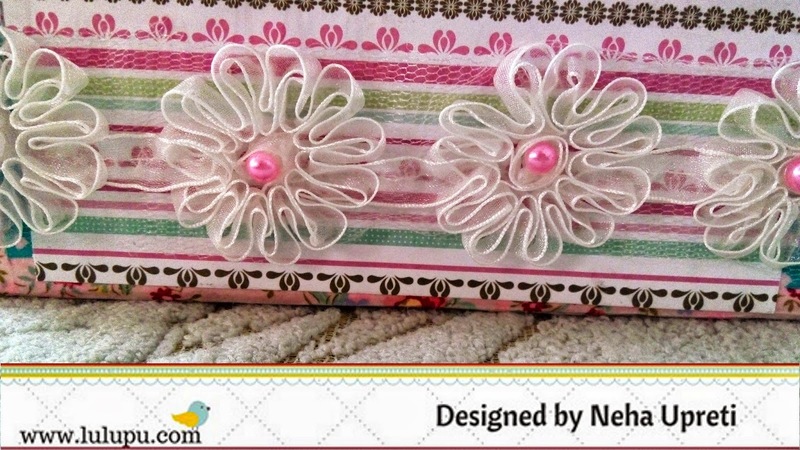 Embellishments- Three balloons, Faux frame. All other things – Gold, my sentiment banner says ‘Happy birthday’. The second bag is a cute, lil’ party favour bag made especially to hold all those small sweets, that would be perfect to gift not only for birthday but also for any occasion. Cardstock – Any color of your choice. A large background stamp- I’ve used Hero Arts/Basic Grey Herbs and Honey set. Versamark Dazzle Embossing ink and Ranger Superfine Clear Embossing Powder. Acrylic Stamping block/ Fiskars Stamp Press. Distress ink of your choice with Inkessentials Blending foam. Punches/ dies to embellish as per your choice. I have taken inspiration from the colors again and the frame of the moodboard. Techniques- Embossing, distressing and coloring. Embellishments- Three flower clusters, faux frame again. I hoped you liked my projects. Don’t forget to join in the fun at the Lulupu challenge. There’s still time to create and win some amazing prizes. Wow! Hussena, Just truly amazed :) What a beautiful mini and gift bag. I would love to get this one (wink wink). 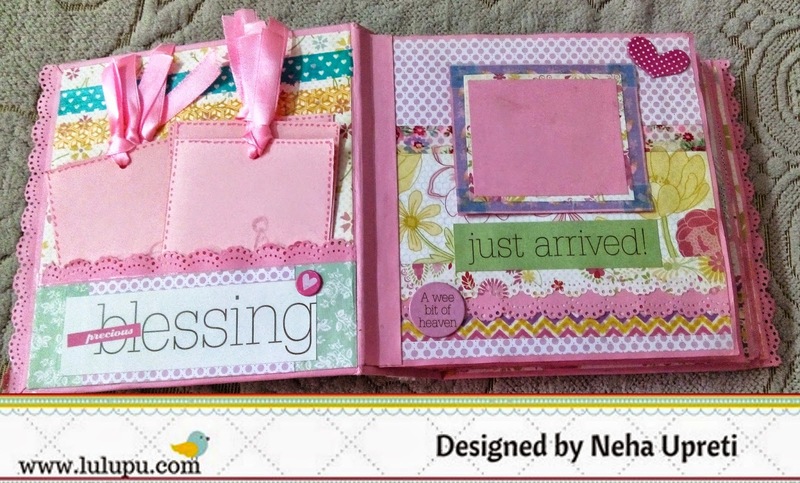 Thank you for sharing your creation along with the easy tutorial with us Hussena. So I hope our readers are inspired to reach out to their crafting supplies and make something unique and beautiful!